The Dutch Traded Manhattan for Nutmeg - Fact or Myth? The Dutch Traded Manhattan (the main island of NYC) to the British for Nutmeg (the Nutmeg-rich Run Island in the Banda Islands). At the height of the spice trade, the Dutch traded Manhattan to the English for the Nutmeg-rich Run Island via the 1674 Treaty of Westminster. This treaty ended the Third Anglo-Dutch War (if not “the Nutmeg Wars“) and allowed Britain to officially claim the land it had already occupied illegally since 1664. 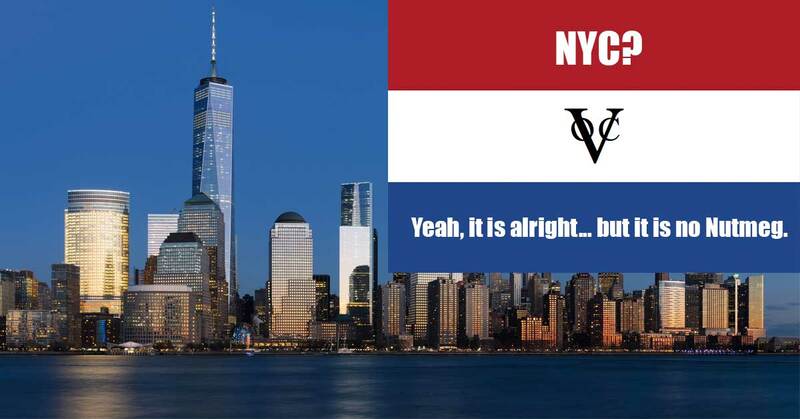 Until 100 years later when the Dutch’s monopoly goes bankrupt, the American patriots take Manhattan, and the British take the island again before giving it back to the Dutch. We don’t always remember today, but the spice trade was the industry that set modern global trade in motion. Before the spice trade, the primary focus of Europe was war, after the trade it was still war, but there was also lots of trade, pirates, and slaves. This was when the world’s economies and banks started forming connections with each other. During the spice trade, the Dutch retained a 200-year monopoly on the nutmeg trade. When the nutmeg trade was threatened in 1647 due to deforestation of nutmeg trees, the Dutch agreed to trade Manhattan to the British for the Nutmeg-rich Run Island, part of the Banda Islands. Run Island was the long-coveted last link in the Dutch nutmeg trading monopoly in Indonesia. The Nutmeg Wars | National Geographic. This story reinforces a few points that are perhaps more interesting than the long and bizarre story of 200 years of Nutmeg monopoly. The Dutch are a historic superpower in finance, trade, and banking. They are one of only a few cultures not called by their nation’s name. Their nation being the Netherlands. The Dutch company the VOC (the Dutch East India Company) was the first publicly traded company. It dominated the spice trade along with the Portuguese and British East India companies. The ships of each company sailed east to “the Indies” in the spice trade, trading stocks to avoid risks related to pirates and other hazards. Interestingly, the VOC was the first multinational state-backed monopoly. Thus, the story of the Nutmeg trade is also essentially the story of the birth of modern economics and nation building. Many Dutch live in America. The Roosevelt family is Dutch, as are the Bush family, Martin van Buren, and Warren G. Harding. Manhattan used to be called “New Netherland” under the Dutch. New Netherland was ceded permanently to the English in November 1674 through the Treaty of Westminster. The workers whose job it was to be out in the sun cutting down nutmeg trees, chopping sugar cane, and gathering spices were not pasty white Europeans. The African slave trade is inextricably connected to the European Spice trade. Ironically nearly every product gained in the spice or slave trade was a “luxury item.” So, it is historically amazing that trade helped bring the world from war to globalization, although it is far from admirable that slave labor and luxury items fueled the bubble. To be fair, the blame for slavery must be shared. Almost every nation on earth participated in the slave trade, including Africa. In 1809 the English returned to Indonesia and seized the Banda Islands by force. They returned the islands to the Dutch in 1817, but not before transplanting hundreds of nutmeg seedlings to plantations in India, Ceylon (now Sri Lanka), and Singapore. The Dutch were out; the nutmeg monopoly was over. While they would go on to have success trading steel and coal (not to mention tulips), the Netherlands declined as a colonial power, and they never again dominated European commerce. Capitalism and the Dutch East India Company: Crash Course World History 229. The Dutch, at the heart of modern finance, trade, invented the state-based monopoly and the publicly traded company, etc. Just as you remember from school. The Atlantic Slave Trade: Crash Course World History #24. Slave trade. This gives us a rare opportunity to point out that the American South was, in some ways, “less bad” than some other slave-states. Learn more about the founders and slavery. FACT: The Europeans loved to name things Indies. Indonesia, India, American Indians, the India Companies, etc. See a map of East Indies and West Indies. Yes, the Dutch really did trade Manhattan for Nutmeg… but to be fair, the British where already illegally living there, the spice trade was the center of the world economy, and the deal was made via a peace treaty.